In the past five years I have gone through a lot of changes in my Jewish observance. As I stand now, I am shomer shabbat, shomer kashrut, and shomer mitzvot. I prefer to daven in a traditional minyan (of ten men) with a mechitza. All sounds Orthodox until I add that I also daven with tallit and tefillin. And so now, where does that leave me? Last Rosh Chodesh, Anat Hoffman wanted to explain to me what “compromises” are being made at the kotel. There are a lot. Women of the Wall has agreed to move to the Robinson’s Arch area under quite a few conditions, but those conditions seem as if they are going to be met fairly soon. I told her I was happy that the area is going to exist and that I’m happy for Reform and Conservative Jews. I’m happy that there is a place where families can daven together and celebrate Bar and Bat Mitzvahs together. I believe in pluralism, I believe that every Jew should be able to practice how they choose. I am proud of Women of the Wall’s work to secure this area. But, I’m not going there. I am not giving up the fight for women to be able to read Torah in the women’s section. 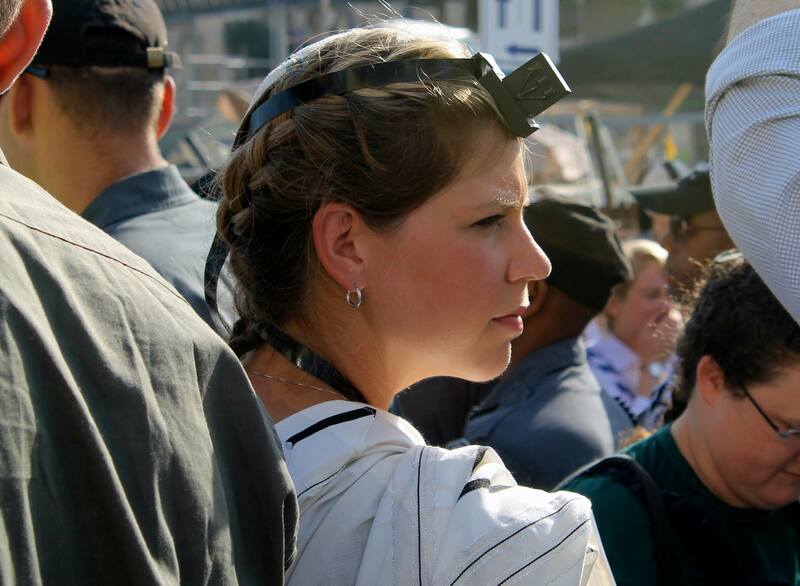 I’m not giving up the right to be able to daven with tallit and tefillin. I’m not giving up the right to daven with other women, to sing and to dance and praise HaShem out loud. 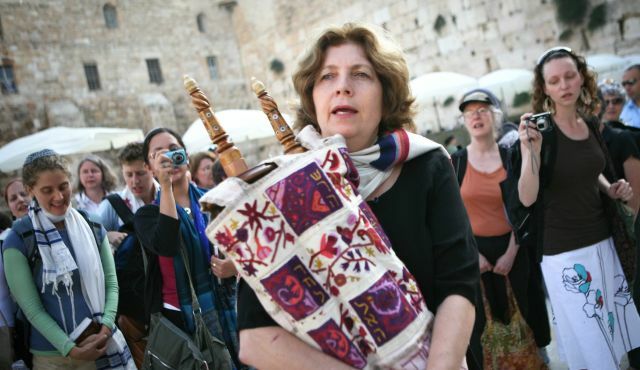 Anat Hoffman told me that WoW doesn’t have Orthodox support. Well, what am I? We were watching a minyan on the other side of the mechitza and I was singing along. Longing to be with the women on our side of the mechitza, to sing with them and dance with them. I believe the only reason they can sing and dance on the women’s side is because of WoW, and it’s true. No one minded their behavior. Anat leaned over and asked me, what about them? Don’t we have to get rid of the mechitza so they can daven together? I responded no, don’t you understand that they want a mechitza? This is exactly what they want. They are orthodox, maybe Modern Orthodox, but Orthodox. This is how they want to daven, with a mechitza, but together. They don’t feel oppressed or inferior. Their minyan was beautiful, spirited, true, open. Maybe these women don’t have a desire to daven with just women and read Torah themselves. Or maybe on another occasion they would. On that Rosh Chodesh, I would have preferred to daven with them, how can someone no be pulled into such a pure davening experience? But on other days, maybe what my soul needs is just women in a safe space and with support that only other females, sisters, mothers, and daughters could provide for me. Anat Hoffman told me that I needed to be the next person to rally the Orthodox women and to get support. That WoW could not provide for my needs. Although I appreciate her honesty, I’m not sure if I agree with her. I know there are much more qualified women to do that. Also, many Orthodox women wouldn’t consider me to be Orthodox. I understand that I don’t quite fit. I don’t fit in WoW anymore. My space at the kotel is being taken from me. So where do I go? Anat Hoffman assured me that there won’t be any more arrests, so I’m not going to jail, B’h. But I also may no longer have the right to daven how I want. This is my grey zone. And I have a feeling I’m going to be stuck here for a while.